Chickpeas might just be my favorite legume. I can always them lurking in my cupboard, ready to be used in quick greek chopped salad lunch or to throw in a curry dish when I’m feeling like I want a little plant-based protein but don’t want to cook. Their creamy texture is one I find myself always coming back to. Anyone else a chickpea lover?! This year I’m committed to bringing you more plant based meals; not only because they’re better for us and the environment, but because they’re convenient and easy to throw together with minimal effort. Aka college students and anyone who is busy and on the go — this recipe is for you! 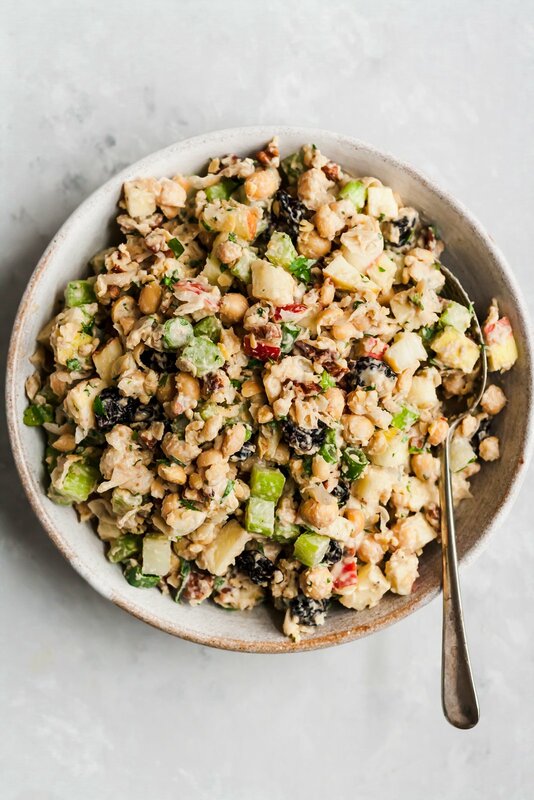 Abra and I whipped this apple chickpea salad in no time the other week and absolutely loved the flavors and texture. It’s reminiscent of an apple tuna salad you had growing up, except there is no tuna and no mayo, making it vegan and gluten free. And guess what? The recipe only takes about 15 minutes to make. YASSSS. The ingredients are simple too: mashed chickpeas, diced honeycrisp apples (my favorite apple! 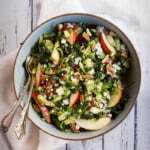 ), dried cherries, toasted pecans, celery, parsley and green onion. 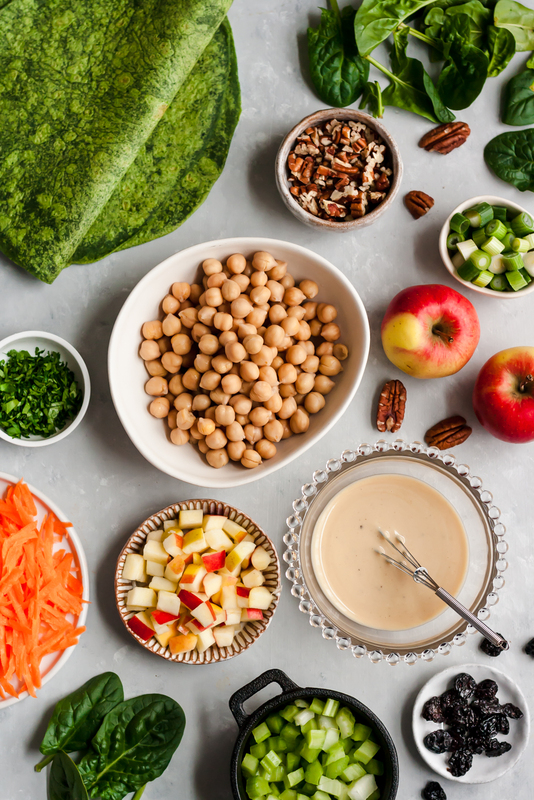 It’s bright, flavorful and our creamy maple-dijon tahini dressing really ties it all together so don’t skip it. 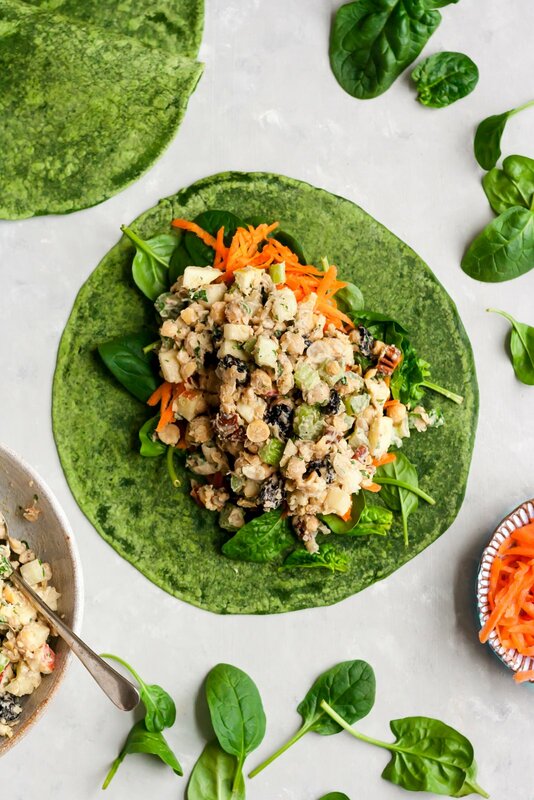 To make this a full lunch: use your favorite wrap (we prefer spinach tortillas) and add a little extra spinach and carrots for color, texture and nutrition. Red cabbage would also be lovely! I know you’re going to love this easy recipe! Be sure to leave a comment and rate the below if you try it. If you’re on Instagram, you can also post a photo and tag #ambitiouskitchen so I can see your creations! Lay out spinach wraps and add about 1 cup of spinach, top with ¼ cup shredded carrots. Top with ⅓ of the chickpea salad mixture. Tightly roll up the wrap, tucking in the ends as you go. Secure tightly with a toothpick if necessary. Makes 3 large wraps! You can also eat the salad as is or put in lettuce wraps or swiss chard. Salad will stay good for 5 days in the fridge. *If you are nut free, feel free to use roasted sunflower seeds instead of pecans. Tahini is made from sesame seeds so that should not be an issue. 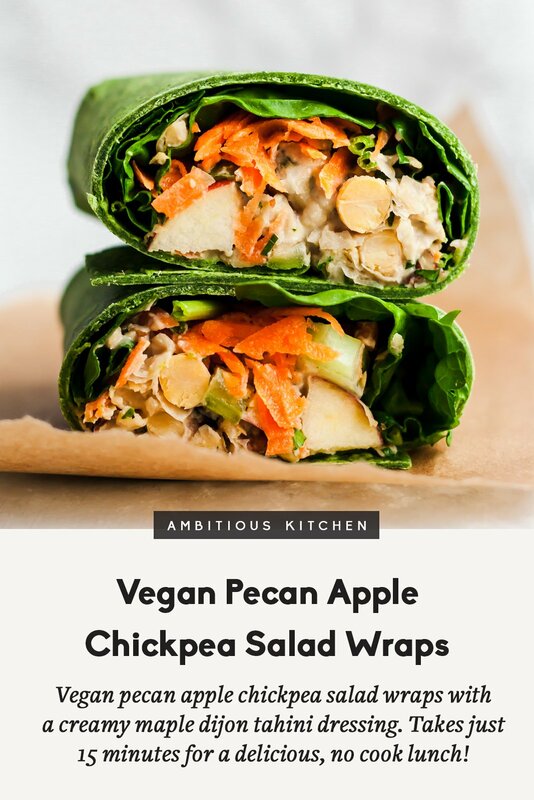 24 Responses to "Vegan Pecan Apple Chickpea Salad Wraps"
Looks delicious!! 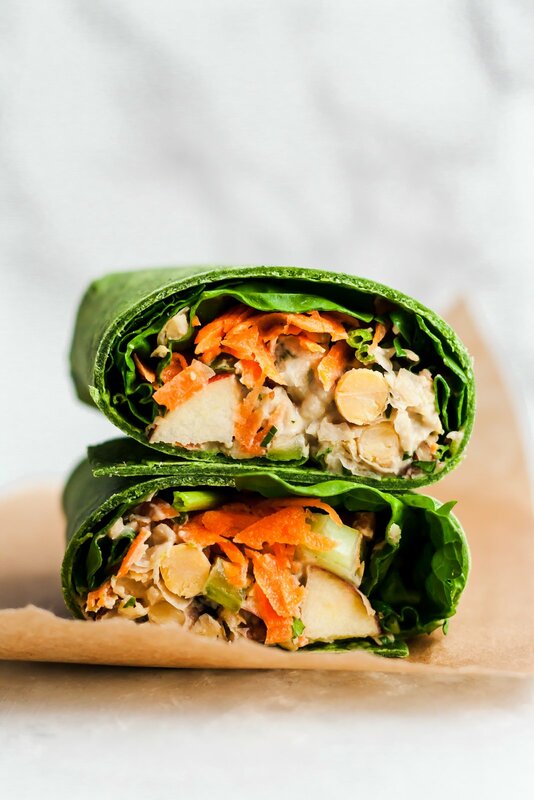 What brand of spinach wraps did you use? I can’t find any with healthy ingredients in them. The nutrition is for each wrap (not all 3). 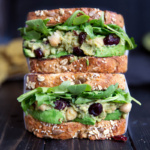 Oh my gee, can I just bury my face in that chickpea salad?! It looks so decadently delicious, comforting, creamy, flavorful, and filling. 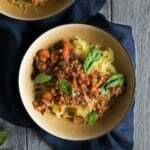 While I do love my wraps, I’ve been meaning to cook with chickpeas more often and I think this is a perfect dish to try! Can you use a collard green wrap as well? This is right up there with your couscous infused salad. I do alot of cooking but this is the first time I,ve used a wrap. I went with a turmeric sprouted wrap and made my own soaked chickpeas. 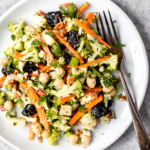 The tahini dressing is delicious and I love all the vegetables in this recipe! 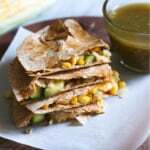 I,m really turned on to wraps and this recipe is a keeper. I don,t make too many things more than once.! Janet Holistic Thank you for sharing! Oh my goodness! I just made this and didn’t even get to the wrap!!! This is so delicious… thank you for creating this amazing fresh salad! I love it!!! So happy you loved it Julie! The perfect lunch. This was so stinking delicious! I didn’t have parsley or cilantro so left that out but otherwise followed the recipe. I decided to eat it with Ak-mak whole wheat crackers and it was amazing! Great, great, recipe! Do you have a recipy for the spinach tortillas? I typically buy them, so I don’t have my own recipe. This looks like a good one to try! We just had this for dinner and it was Fantastic. I will be making this regularly. Amazing! Happy to hear that. Can I make this ahead and use it in my meal prep arsenal or does it need to be eaten right away so the apples don’t brown? 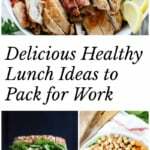 This one is great for meal prepping! It will stay delicious in the fridge for up to 5 days and the apples should stay nice and crisp. 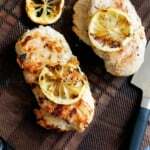 Feel free to add a squeeze of lemon juice if you’re worried about browning.